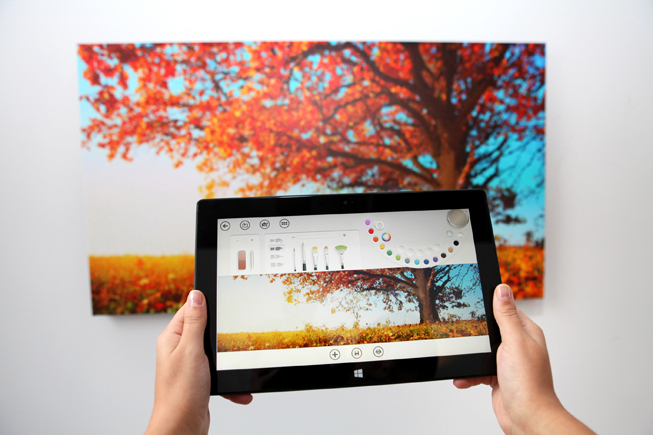 A new version of Fresh Paint will be rolling out October 18 with the release of Windows 8.1 and among the changes is integration of CanvasPop for printing. According to that company's blog, " The app will use our new photo printing API to allow users to create high quality canvases of their artwork, simply by pressing the integrated 'print' button." CanvasPop's canvas prints range from $30 for an 8x10 single to $985 for a quad 60 x 90. As an incentive to Fresh Paint users, CanvasPop will offer $30 toward the first canvas print order of $70 or more.